I can't believe it's been near enough a month since my last blog post! Lots of things have happened, and I really should have been telling you about them at the time, but as I didn't...here's a quick run through. I ran a PB (1:22:57) at the excellent Canterbury 10 mile race on 29th January. I put a lot of effort into this hilly race, and although it was hard going, I was really pleased to come away with that time and it's a race I'd probably do again. I completed my first 20 mile run since last September and it went really well. 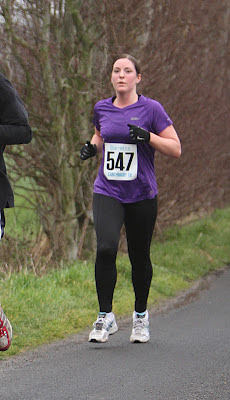 I was very tired by the end, it wasn't enjoyable, but I did it without any food or water throughout (I'd expected to pass a shop but didn't) and I completed it in just over three hours so I was really pleased! Francis turned 40! For his main present I bought him a skydive (we went but the weather was bad so we've rebooked for May), we went for a meal with 15 friends to Gordon Ramsay's Bread Street Kitchen, and on his birthday, 6 inches of snow fell, so we went for a walk in the woods, threw snowballs and made snow angels! We also went on a truly lovely holiday to Venice for a week. It was unbearably cold for a few days, but it's a beautiful, unique and interesting place, and we really enjoyed ourselves. I saw lots of locals out running, and every single one I saw made me feel incredibly guilty for not having taken my trainers with me! Most importantly, as a result of the snow (and subsequent ice) and then our holiday, and general laziness two weeks have passed without me running a step, and in fact, I've just checked and over the last month I've only run on seven occasions! A far cry from the minimum of 16 that my schedule was showing! So yes, that's hardly any running at all - with just eight weeks left until my target race, the Brighton marathon in April. I'm shocked at that...obviously I knew I hadn't been running as much as I should have been, but going back and looking through my log makes me realise just how bad my training has got! To be honest, I'm embarrassed about it and can't really justify being so lax. I just couldn't find the motivation to get up and get out most days, and always ended up finding excuses. Anyway, after getting back from Venice on Tuesday, I planned to make myself get out of the funk and go out for a run last night (Wednesday), but I just couldn't do it - I couldn't be bothered and I just sat on the sofa all night and watched TV, despite having told myself all day that I would go running. 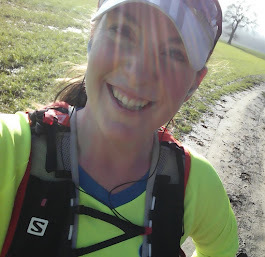 I have to tell you there was a big part of me that was really quite scared last night and I couldn't help but feel a little freaked out by the questions running through my head....was I ever going to find that feeling again and start training? Had I stopped being a runner? Was I going to be able to get control over the weight gain that's been creeping up on me over the last couple of months? Where had the dedicated and committed runner gone that I thought I had become? I honestly wasn't sure of the answers, and didn't know what was causing my loss of enthusiasm. But you know what, it worked! I got straight out of bed this morning, got changed into the lycra, logged onto twitter for the first time in a fortnight (because I can't be on twitter when I'm not running, I feel too guilty/jealous/ashamed) to tell everyone I was joining @6amCLUB and I went out and I ran. I felt awful to start with. I had creaky knees, I couldn't find a natural form and felt generally heavy and clumpy. But I persevered, and I got through it, and finished an easy 4.5miler. I felt so pleased as I logged it on my training schedule! I've also restarted my Weight Watchers plan, have been logging my food all day, am eating sensibly, and I've brought my running gear into work with me so I can get in another 4.5mile this evening. I don't know what happened overnight, but I feel like someone flicked a switch and turned my inner-runner back on...I feel motivated and confident again. But I don't need to know why, I'm just going to go with it, and try and work very hard over the next couple of months to get in the best shape I can for my sub 4hr marathon attempt. I've got another three races between now and Brighton which will hopefully keep me focused. It feels good to be back, and to be excited about the training I've got coming up...I just hope no-one jumps into my head and messes around with that switch again!